The government will spend $1.5 million to develop a business case for a new campus to serve the municipalities west of Victoria: Colwood, Langford, Metchosin, View Royal, the Highlands, and even further west to Sooke. The province is looking into a new post-secondary campus for Vancouver Island's rapidly growing West Shore communities. The Ministry of Advanced Education said in a statement that high school graduates on the West Shore have a "much lower" rate of attending university than graduates in the rest of the province: 17.2 per cent compared to the B.C. average of 34.1 per cent. The ministry suggests building a campus in the communities could improve post-secondary opportunities. The business study follows a just-completed feasibility report prepared by Royal Roads University, which has its campus in Colwood. That school's president, Dr. Phillip Steenkamp, told All Points West host Robyn Burns that long commutes to and from Victoria, Saanich and Oak Bay — where the University of Victoria and Camosun College are located — as well as the high cost of living in those cities are barriers to higher education. "That doesn't really give students the opportunity to live at home and go to college or university as well, which is what students typically need to do in order to afford education," Steenkamp said. "The other thing is West Shore families are younger than the provincial average and many of them are also first generation … to go onto university. "We need to do more to provide access to those students as well." 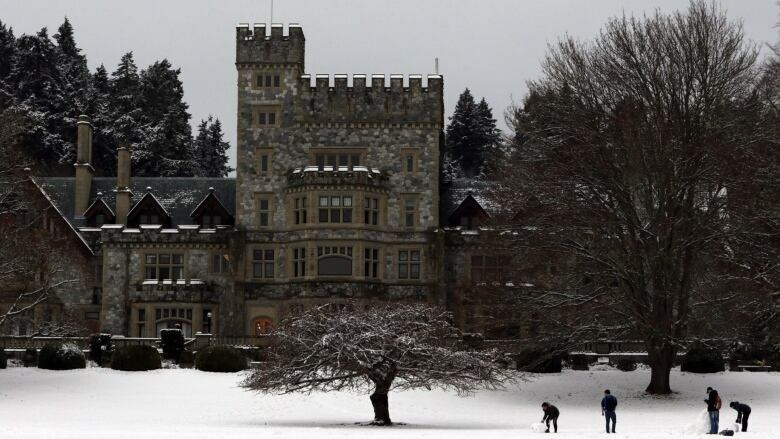 Royal Roads' modelling shows that a new campus on the West Shore could accommodate up to 2,500 students each year, Steenkamp said. He thinks it would be worthwhile pursuing a collaborative campus with involvement from multiple local schools. "We all have complementary strengths and we all offer different things," he said. He noted that a new type of campus could be "interdisciplinary and would be problem- or project-based, which is quite different from some of the traditional models." Steenkamp says his hope is to develop a career-focused institution that would appeal to high school graduates and working adults. The $1.5 million business case funding from the province will look at student enrolment modelling, curriculum design, physical construction issues as well as financial concerns.